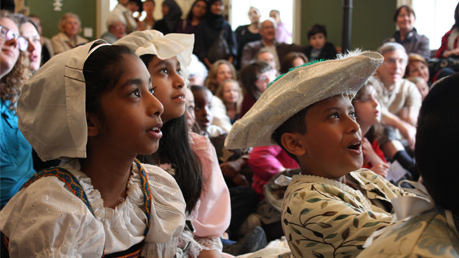 The Foundling Museum explores the history of the Foundling Hospital, the UK’s first children’s charity and first public art gallery. Established in 1739 by philanthropist Thomas Coram, and continuing today as the children’s charity Coram, the Hospital was set up as an institution ‘for the maintenance and education of exposed and deserted young children’. Instrumental in helping Coram realise his vision was the artist William Hogarth, who encouraged leading artists of the day to donate work, and the composer George Frideric Handel, who gave annual benefit concerts of his Messiah. Through a dynamic programme of exhibitions and events, we celebrate their vision and the ways in which artists and children have inspired each other for over 275 years. Discover the intriguing story behind this important London institution and the children who grew up there, alongside original period interiors, poignant artefacts and inspiring art. Closed 25, 26 December and 1 January.